defining an upper limit of the “to-be”-failure rate on function level. 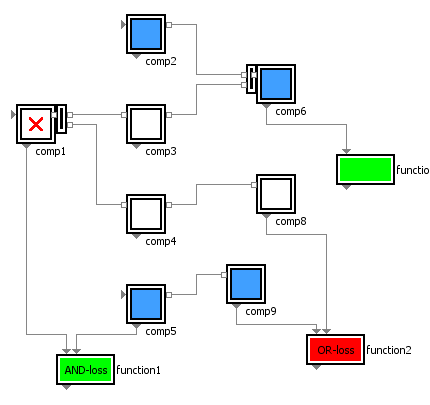 The fault tree for each undesired event of a failed function – the hazard in this risk assessment example – is derived automatically. So we can easily check if the failure rate requirements are met by anticipated architectural design of the power supply system and the quality of the component. In post  we will introduce the idea of availability modeling and the appropriate layer in the SmartRAMS library that allows to quickly determine the availability of a system.